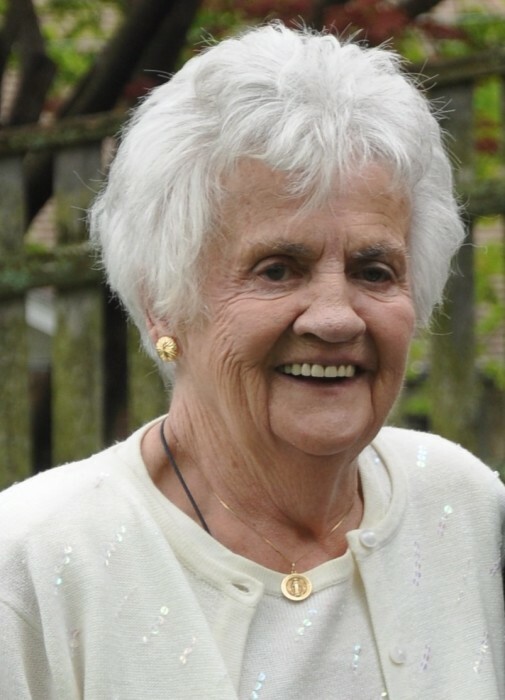 Alice B. Butts (McKenna), age 83, of Quincy passed away April 8th surrounded by her loving family. Born and raised in Prince Edward Island, Canada, she lived in Quincy for over 40 years. She valued family relationships and enjoyed summer visits back to the old homestead in PEI; canning jams and sharing stories of her dad and brothers playing music in the kitchen, or their first car being a horse and buggy. Beloved wife of the late Frederick J. Mother of Daniel J. Butts and his wife Cindy of RI, Nancy M. Genesky and her husband Mark of Norfolk, Edward J. Butts and his wife Laurie of Melrose, Patricia A. Voss and her husband Jon of Stoneham and James J. Butts and his wife Kellie of Weymouth. Grandmother of Kristi Copson and her husband Paul of Wakefield. Sister of Rose Trainor of Canada, Harry McKenna of Westboro, and the late Mary Hunt, James McKenna, Margaret Connolly, Andrew McKenna and Joan Daley. Also survived by 12 grandchildren and 4 great grandchildren. Visiting hours at the Alfred D. Thomas Funeral Home 326 Granite Ave Milton Monday April 15th from 3-7 pm. Funeral Mass at Sacred Heart Church, North Quincy Tuesday morning , April 16th, at 10:30. Burial Milton Cemetery. Donations may be made in her memory to the Sherrill House, Memory Unit, 135 Huntington Ave, Boston, MA 02130.